Develop a full list of interested subscribers! As an experienced real estate marketer, you know just how effective email newsletters can be at building your business. You’re ready to put them to use promoting your real estate agency, but first you have to build your email marketing list. There are a whole host of strategies you can use to develop your contacts and gain subscribers for your real estate newsletter; we’ve assembled our favorites here. Try several or all of our top real estate email marketing list tips at once so you can get your newsletter campaign up and running quickly! LinkedIn – connect offers to your Company Page, and look for opportunities to include them in the group discussions and hangouts in which you participate. Pinterest – link offers to the images you pin on your boards. The effectiveness of this strategy depends on the quality of your pins; investing the time to find stunning property and amenity images will definitely make a difference. Facebook – link offers to a call-to-action button on the top of your real estate agency’s Facebook page. You can also post offers on your Timeline. How to guides are always popular with real estate clients. They can range from “ultimate guides” which offer detailed, in-depth information to “pocket guides” which are shorter and more concise. Topics can run the gamut of real estate issues, from marketing advice (How to Market Your Home), to mortgage information (How to Obtain the Best Mortgage Rate), House Hunting tips (How to Find your Dream House) and more. Clients eat these up! Use clear headers and brief copy to create checklists that cover a wide variety of real estate topics: packing and moving, staging, what buyer documents to assemble, open house prep,… the possibilities are virtually endless. Interactive real estate tools can take a bit more time to develop than other forms of content marketing, but they are always popular with clients. Items like mortgage and square foot calculators, office space configuration tools, etc. will generate a lot of email addresses for your newsletter list. Just as your real estate website is the heart of your agency’s online presence, it can be the center of your email newsletter list building campaign. Greet visitors with an offer to subscribe to your website when they first access your site, and sprinkle offers that capture email signups on various pages throughout your site. 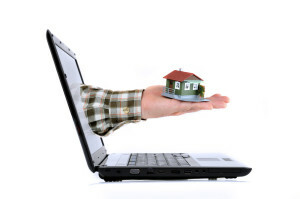 Your real estate blog provides guests with valuable information that will encourage them to sign up for your newsletter. Include an invitation to join your email newsletter on the main page of your blog. You can also include calls-to-action for subscriptions as appropriate for more in-depth information on topics covered in your blogs. These are some of the easier examples of how to build an awesome real estate email marketing list. For more advanced tactics along with complete email newsletter marketing support for your real estate agency, turn to the marketing team at For Sale Marketing. We can supply you with full marketing support for your efforts including responsive real estate website design, professional email newsletter creation services, marketing analytics, and more. Contact us at For Sale Marketing today at 954-779-2801 for more email newsletter list building tips along with comprehensive marketing support to ensure your real estate agency’s success!